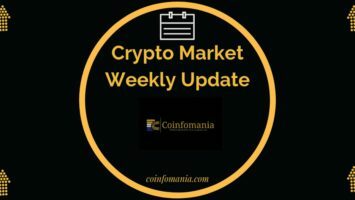 New Bull Markets See Fresh Green For All Top Cryptos - Coinfomania Coinfomania: Where blockchain and cryptos live. The crypto markets are all fresh and greeny within the last ten hours leading up to press time. Top coin bitcoin has had a fair share of the market gains, rising from the $6600 region on the previous day to $6911. 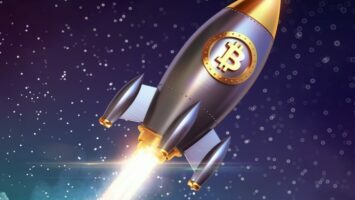 Industry specialists tip the major cryptocurrency to make and break the $7000 hurdle within the next 24 hours. Moving on, this data from Coin360 reveals that IOTA coin is the most significant gainer among the top ten coins. With a 16.54% increase within the last 24 hours, the coin has usurped Monero to creep into the top ten. IOTA posted a 1.9 billion market cap at press time according to data from CMC. IOTA’s price rally is said to stem from its partnership with Fujitsu to be integrated into the firm’s manufacturing and supply chain verticals. Fujitsu hopes that IOTA integration will enable better transparency, data trust, and data security. The second most valuable cryptocurrency has traded below $300 since August 20 following claims that ICOs were cashing out of the blockchain. In the light of recent market happenings, however, the coin has bumped up a strong resistance against the USD. 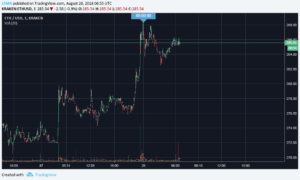 It has held gains solidly above $275 within the last ten hours and looks set to attempt the $300 breakaway. Business Insider Australia suggests that the bull markets are as a result of the release of Dash coin mobile app on Venezuelan smartphones. Cryptos are gaining new converts.